Hello lovely people! I hope you all had a good weekend. I spent mine chilling, cooking, watching movies and knitting! A perfect one, if you ask me! Some days ago I mentioned in my Instagram that I'm working on a secret project and I'm finally able to share more about it! I hope you'll love it as much as I do! This is my Kommatia patterns J006 parka and I'm in love! In my opinion this is the perfect transitional outerwear! 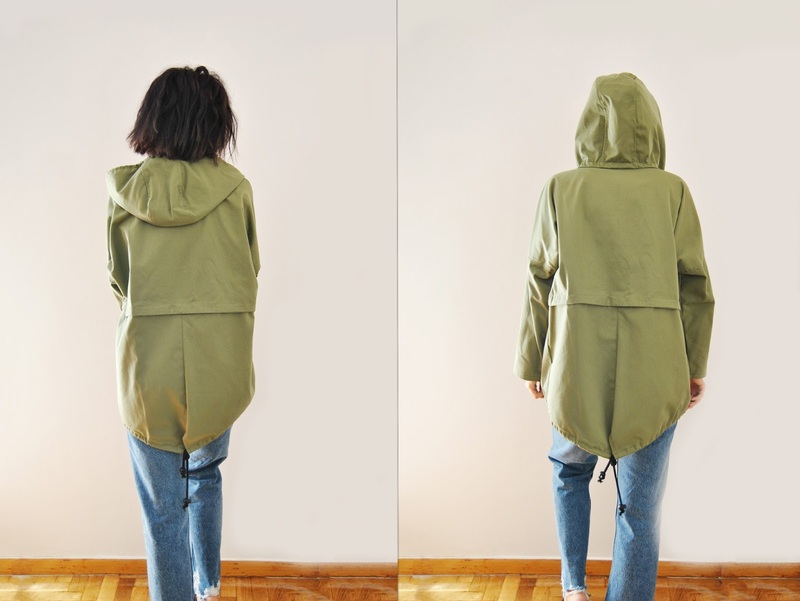 It is an unlined parka pattern with a very loose fit, featuring a zipper fastening, dropped shoulder, drawstring hood and flap pockets. If you never sewed any outerwear before this is the pattern you want to go with. The instructions are really clear and well illustrated, which makes the whole process go by really smoothly! I love how modern Kommatia patterns are and this one is no exception! You can use so many different types of fabric to create different looks with this one. I went with a workwear gabardine(the kind they use in workwear overalls) for my version and I'm really happy with the final garment. All the little pattern details make this seem so professional and well-made. I cut a size M with no modifications, since the pattern has a very loose fit. I used a gold metallic separating zipper, black cord, plastic black stoppers. And that's about it! 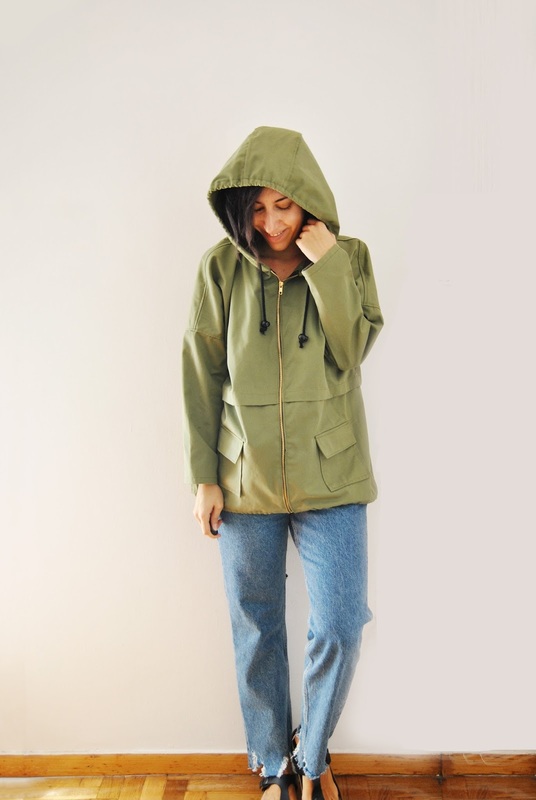 I'm planning making another version of this in a waterproof fabric, or in other words a perfect garment for walking the dog in the raining days ahead! Do you have any outerwear sewing plans for the coming months? I would love to hear about them!